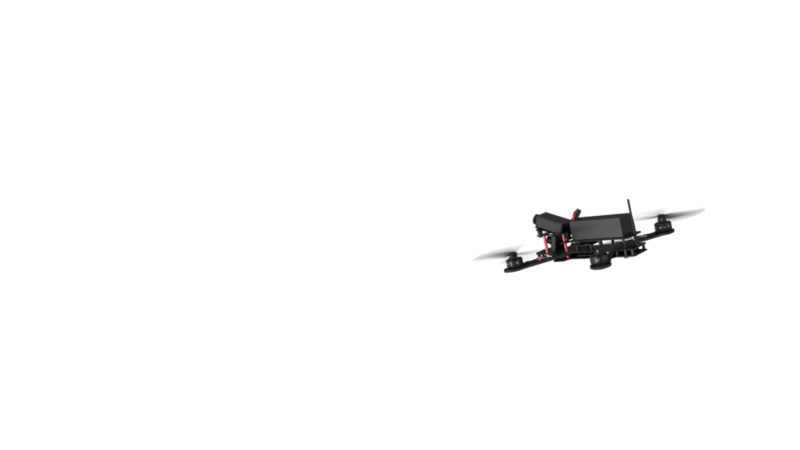 The Snail is a drone racing optimized propulsion system created to give racers the winning edge. It is fine tuned and precision engineered by DJI propulsion experts to bring new levels of power and maneuverability to the races. 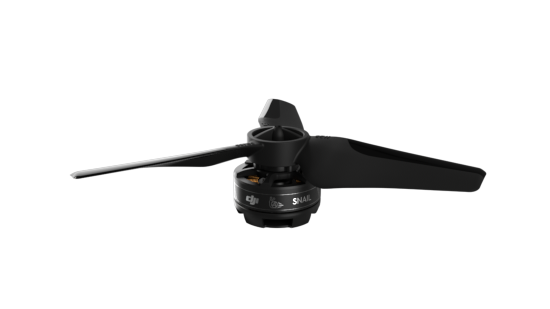 The Snail 5048S Tri-Blade racing propeller has been extensively optimized for forward flight, unlike traditional propulsion systems that are designed for hovering. In wind tunnel tests it creates more thrust with less drag and uses less power than propellers with the same maximum thrust range. The Snail 430-R ESC uses unique control algorithms to reduce Loop 800 response times by 21% compared to many products on the market. It makes racing aircraft more agile and more adept at sudden maneuvers including sharp turns and hard braking. Loop 800 is a measure of the time it takes a propulsion system to increase thrust from 100g to 800g and then decelerate to 400g. It is used to measure the responsiveness of a propulsion system. Combined with the 5048S Tri-Blade Propeller, the Snail 2305 Motor delivers an incredible 1.32kg of thrust, 15% more than the market average. As light weight is critical to racing drones, yet they have to endure frequent collisions, extensive simulations and flight tests have been carried out to make the Snail 2305 Motor stronger while keeping weight to a slim 27.8g. A high performance 32-bit 100MHz MCU and unique race optimized control algorithms are found inside the Snail 430-R ESC, allowing it to outperform similar products in both response and efficiency. Its ultra-compact hardware design allows it to sustain a continuous current as high as 30A, from a form that is just 3.6cm. It can be further fine tuned to meet racer needs using the ESC Programmer and DJI Assistant 2. Flying 3D is as easy as switching ESC settings in DJI Assistant 2 and mounting the 3D optimized 6048-3D propellers.